Police in Santa Clara on Wednesday arrested a suspect in connection with shooting into a residence. 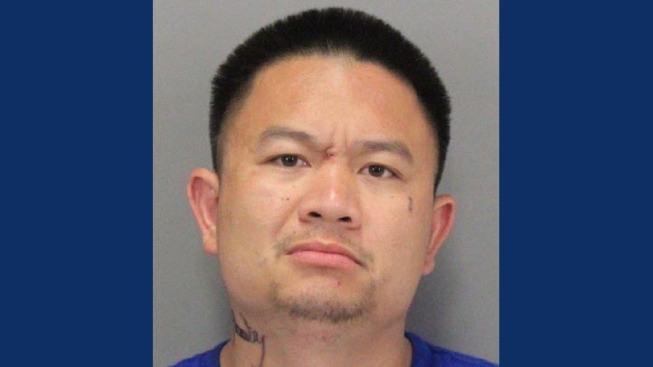 Victor Francis Cruz, 37, of Hayward, was arrested on suspicion of shooting at an inhabited or occupied dwelling, according to the Santa Clara Police Department. Officers responded Wednesday at 10 a.m. to the 900 block of Las Palmas Drive on a victim's report a window in his residence was damaged by a bullet. There were no reported injuries in the shooting. Responding officers found shell casings on the street. Detectives were able to identify Cruz as the suspect in the shooting and learned the shooting occurred around 3 a.m., police said. Around 3 p.m., police located Cruz and arrested him. Police said the shooting was an isolated incident, and the victim was the intended target.